J. Winter Nightwolf (Jay Gola Wahya Sunoyi),a member of the Echota Cherokee Nation of Alabama, is a poet, writer and an activist for Native American, civil, women, children and human rights. As a Native American historian and spokesman for his people as well as a motivational speaker, he is the originator and host of “The Nightwolf Show” giving voice to the American Indian. “The Nightwolf Show” is the only Native American program of its magnitude east of the Mississippi River on FM. He tells the truth about what really happened to the First Peoples of the Americas. He is also host and producer of “The Good Red Road,” WRYR, 97.5 LPFM, Deale, Maryland and host of the cable TV program “Voice of Four Winds,” Channel 16 in Montgomery County, Maryland. He serves as Volunteer Assistant Director of the New Life Wellness Center an alternative healthcare facility in Washington, D.C. 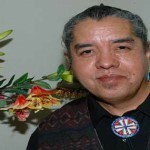 He is a Certified Hydro Colon Therapist and a journalist and writer for the national newspaper, News from Indian Country. Nightwolf is an Executive Board Member and Director of Public Relations and Media for the Being Human Party, an alternative political party that supports corporate free and special interest free candidates. the American Indian Society (AIS), Washington, D.C.
WINS Program at American University, Washington, D.C.
the United Houma Nation of Louisiana. He is also working on a book and preparing to record his first CD in conjuction with the international Native American recording artist, Ron Warren. 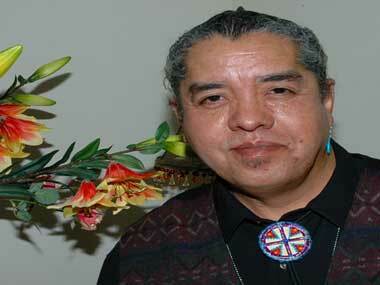 Nightwolf recently received the coveted “Spirit Award” given by WPFW, 89.3FM, Pacifica Radio. While in college he majored in Political Science and Psychology.